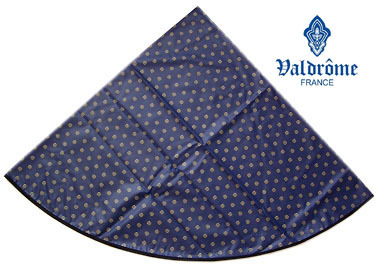 VALDROME Provence Tradition French Round Coated Tablecloth Diameter 61, 155 cm (Picoli. 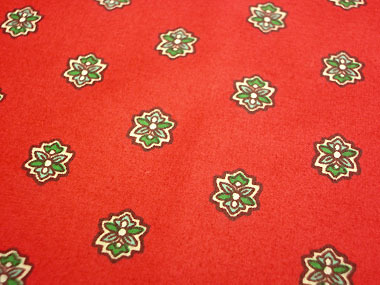 corail) Nappe Ronde Enduite Indiennes : Provence Decoration, The Provence tablecloths and products online shop from Nice - France, worldwide delivery. Ideal for everyday use! Easy to clean, Easy to wipe!! With this tablecloth we combine the robustness and flexibility of a quality cotton with the ease of maintenance of vinyl tablecloths. 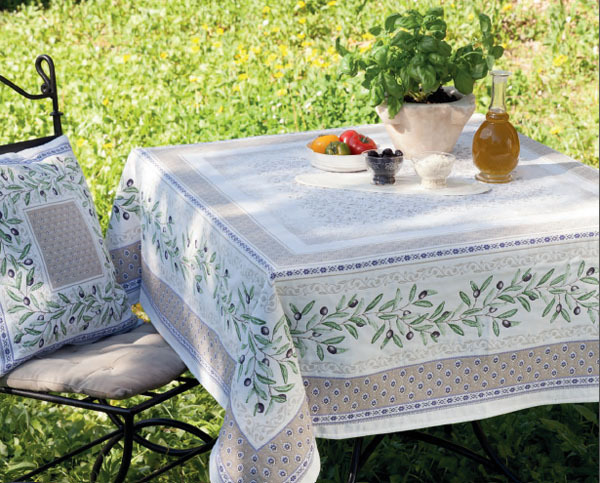 The natural cotton of this tablecloth is coated with acrylic making it dirt and stain proof. Acrylic is also an excellent water repellent. 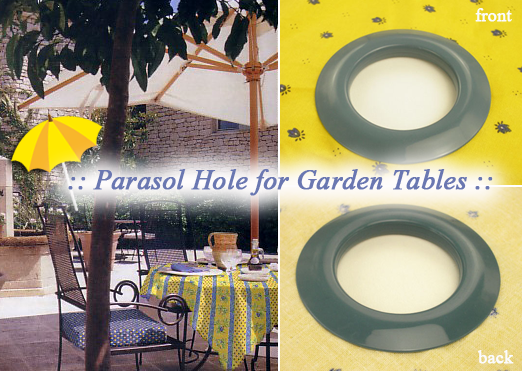 Despite of the acrylic treatment this tablecloth can be washed in a washing machine as a non coated tablecloth. 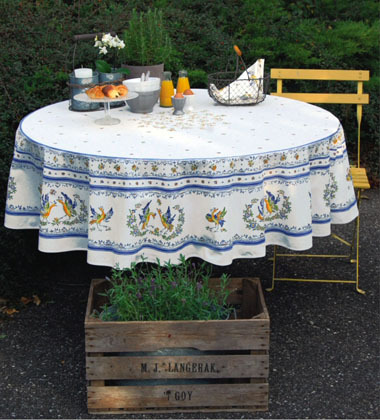 Our 100% cotton tablecloths are made from high quality dyed yarn. They are thus more resistant to the use of time, washing and sun. Their colors, motives, whether traditional or modern, are typical of Provence, of its flora and climate that have made its reputation worldwide. 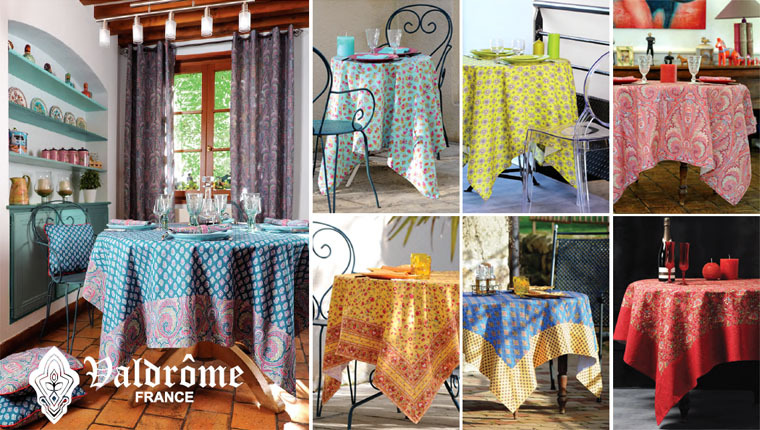 They will assuredly lighten your table with the sunshine of Provence to let you enjoy even more delicious meals. 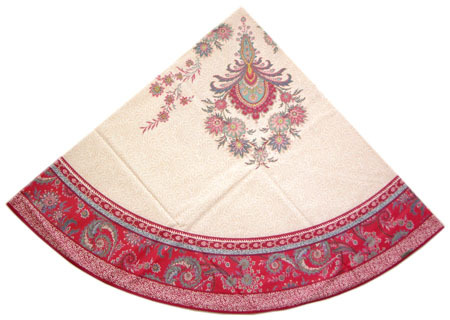 We also offer a wide choice of coordinated (or not) 100% cotton dish cloths, table runners, lunch mats, tea napkins and many others. 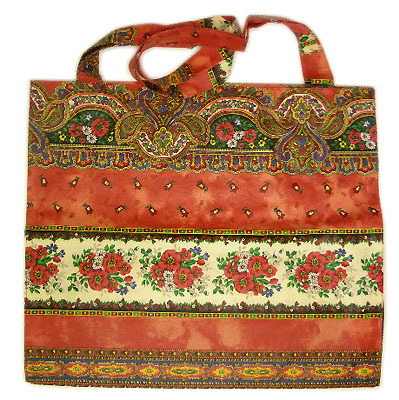 Some other kitchen accessories such as aprons, pot holders, breadbaskets or plastic bag dispensers are also available in typical Provence colors. 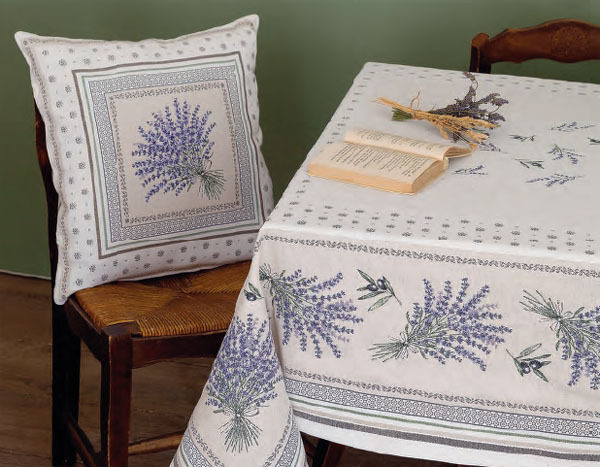 Please visit our Provence table accessories page for more details. VALDROME and the tradition of "indiennes"
Since 1946, the Valdrome company has dominated the production of the authentic "style Provencal", which perpetuates from a thousand year tradition. 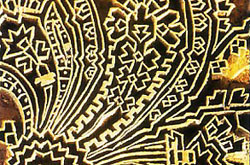 More than ten centuries ago, Indian and Persian craftsmen invented the reproduction of motifs on fabrics, first using an ancient stencil technique, then using paint-coated and engraved wooden panels. The secret of these "Indiennes" (Indian Canvas) or "Toiles des Indes" (Indies' Canvases) have been uncovered and brought back to France by world navogators such as Jean de Valdrome. 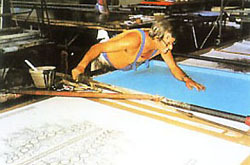 He learned how to produce these beautiful printed fabrics shawls and scarves which, today, are part of Provence image. 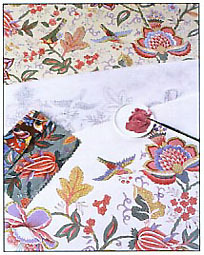 The "Tissu Provencal" (Provencal fabric)first appeared around 1740. It expresses a union of love between the Oriental art, and the country and floral patterns which festivily celebrate the southern France colors. 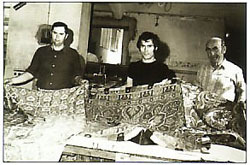 The Valence factory was created in 1770, and developed a strong reputation for the quality of its printed fabrics. 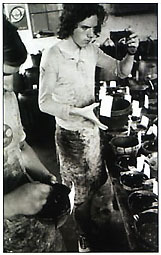 Its success called for the foundation of the Valdrome company in 1946. Valdrome prides itself in keeping alive the Indian Tradition, and only utilizes hight quality tools : pure mercerized cotton, wool serge and top quality water resistant color dyes. The basic colors of Provencal Fabrics are the red, wich comes from madder, the blue from the indigo plant, and the yellow from various plant' sap. 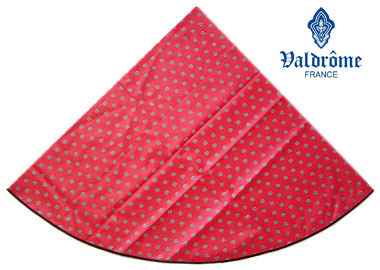 Valdrome operates worldwide, and is specialized in the manufacture of table linen, fashion accessories, and gifts items made of padded fabric.